The first Brother of the Week for this semester is Senior Michael “Delly” Delahunt for keeping his brothers accountable as the Sargent at Arms. Delly’s favorite off campus house is One Night Stand, which he visits on occasion, and is great friends with local lawyer John O’Shea. 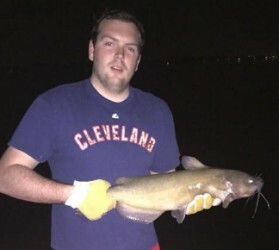 Delly is a well-connected man, with friends ranging across Oxford and Butler County, and on his down time he loves to fish for whatever he can catch.